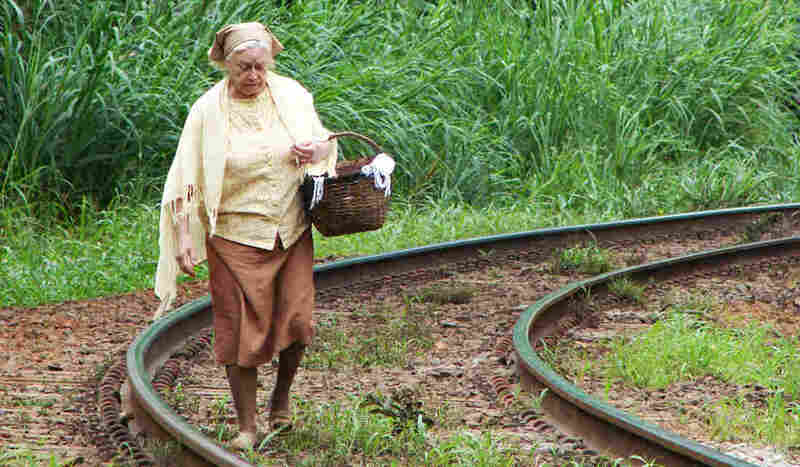 The minimalist Brazilian drama Found Memories has a running gag, a small chuckle that gradually morphs into something profound: Madalena (Sonia Guedes), an elderly baker in a remote hillside town, walks her fresh goods to the local coffee shop every morning, where she removes the rolls from her basket and stacks them in a cabinet to be sold. The shop owner, Antonio (Luiz Serra), barks at her to stack the bread his way. But every morning, Madalena ignores him. We laugh first at the inherent silliness of their argument; how can the manner in which the bread is stacked possibly matter? By the third time Madalena opens that cabinet door, we think the film's got nowhere else to go. But by the fifth time she boxes out Antonio's frustrated glare — Guedes brings a uniquely enchanting stubbornness to her role — we see it's more than some lame joke. It's the one moment of defiance she exerts in her otherwise hollow day, and by gum she's going to keep on doing it until she dies. In her first feature-length film, director Julia Murat has crafted an elegant still life, with all the poignancy and observation implied. It's true that Found Memories is slow, but it would be more accurate to say the movie operates at the natural speed of that town, a ruminative amble that somehow, in spite of all evidence to the contrary, keeps moving forward. Coupled with Lucio Bonelli's lush cinematography, which relies on natural light and uncluttered compositions, the pacing somehow feels right. The movie is set in Jotuomba, a fictional impoverished rural community in Brazil's Vale do Paraiba hit hard by the decline in the coffee trade. Its inhabitants are all senior remnants from an earlier era. There's little in the way of youth or modern technology, and the suggestion is that once these citizens pass on, no one will be left to remember what happened there. 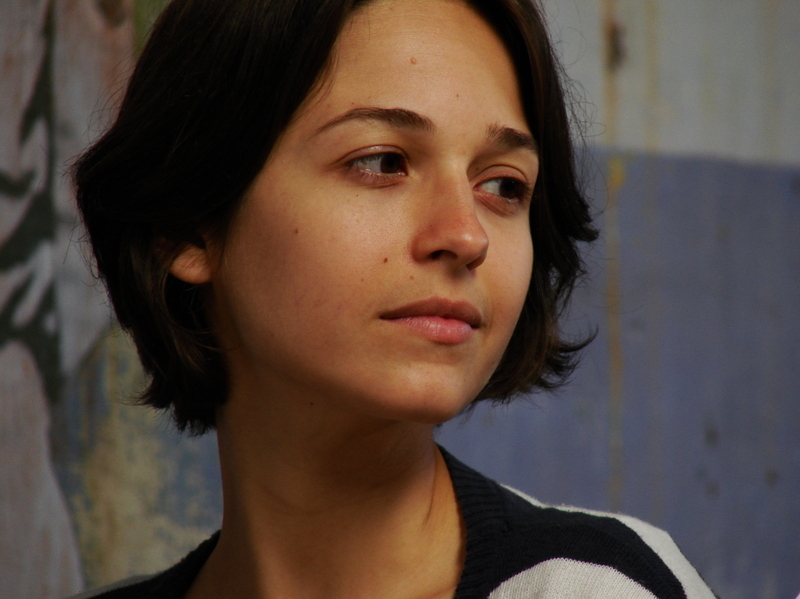 Rita (Lisa Favero) relates to the town's residents as relics of another time, appreciating them with an outsider's view, yet not truly connecting. Drifter photographer Rita (Lisa Favero) is the story's de facto catalyst. She arrives in town looking for inspiration and crashes with Madalena, converting a wing of the house into a darkroom. Rita's fascinated by old things and old people, but in an impartial, detached way that still allows her to listen to 21st-century music on her iPod. The interplay of life and death in this forgotten town is a mere novelty to her, one she plans to file away in her photo album next to her other travels. Rita is several generations younger than everyone she meets in town, a key detail that Murat, with co-writers Maria Clara Escobar and Felipe Sholl, subtly exploit. She's fascinated by Madalena's daily bread-baking routine, for instance, and the way the villagers file neatly into church on Sundays; she snaps pictures of everyday details everyone else long ago lost interest in. Oddly, though Rita seems set up to act as a free spirit for the town, she's largely just as stately and reserved as the rest. She communicates chiefly through her camera, which makes it hard to understand how she could impart any emotion more significant than bemusement to the townsfolk. Yet Madalena still feels a connection, perhaps due to her own fondness for still images — she pulls out yellowing photos of her long-gone husband at night. The feeling of twilight permeates Found Memories, which doesn't feel so much like a tale of discovery as it does a eulogy. (There's even a cemetery motif.) It's the difference between telling the story from Rita's point of view and telling it from Madalena's: A less confident filmmaker might have opted for the former, for fear the latter would be too depressing to ponder.